Daniel Weiner joined the University of Connecticut (UConn) in 2012 as Vice Provost for Global Affairs and Professor of Geography. In February 2016, he was promoted to Vice President for Global Affairs. Prior to joining UConn, Weiner spent four years as Executive Director of the Center for International Studies at Ohio University and eleven years as Director of the Office of International Programs at West Virginia University. He earned a B.A. in 1979, an M.A. in 1981 and a Ph.D. in 1986, all in Geography at Clark University. In his role as Vice President, Weiner serves as the University’s Senior International Officer (SIO) and leads the UConn Office of Global Affairs. With more than two decades leading as a public research university SIO, he is one of the longest serving SIO’s in the country. Throughout those 22 years, Weiner reported directly to the Provost or President. Weiner is a development geographer with area studies expertise in Eastern/Southern Africa and Appalachia. He is a specialist in the theory and practice of participatory geographic information systems (GIS). His research areas include agricultural geography, climate and society, energy, GIS and society, land reform and political ecology. He has received 15 externally funded grants totaling over $2.5 million, published three books, 30 journal articles and 29 book chapters. Weiner lived in Kenya, South Africa and Zimbabwe for almost three years during the 1980s. 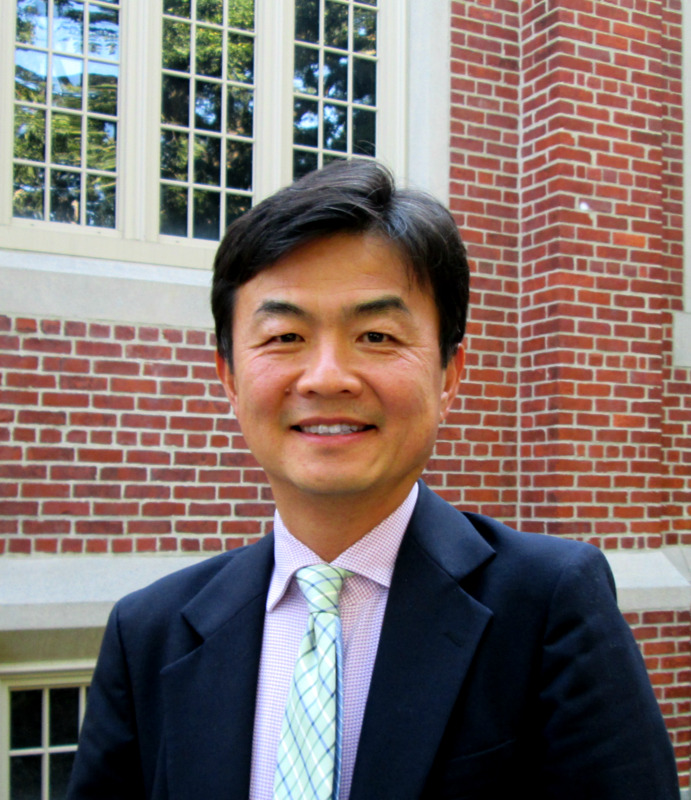 Yuhang Rong transitioned to the role of Assistant Vice Provost for Global Affairs on July 1, 2014, after eight years of service as Assistant Dean for the Neag School of Education at the University of Connecticut. Rong was then appointed as Assistant Vice President in February 2016, and subsequently Associate Vice President in July 2017. He also holds the position of Associate Professor in Residence in Educational Leadership at the University of Connecticut. Rong earned his B.A. in English from East China Normal University (华东师范大学), his M.A. in Education Administration from West Virginia University, and his Ph.D. in Professional Higher Education Administration from the University of Connecticut, with partial completion from the University of Wisconsin-Madison. He has worked in the fields of student affairs, international affairs, and academic affairs in higher education, as well as in the area of teacher quality enhancement in K-12 education. He has authored and/or administered grants from the United States Department of Education, including the Title II Teacher Quality Enhancement Grant and the Transition to Teaching Grant. In addition, he has served as a federal grant technical reviewer for the United States Department of Education. He is the recipient of the American College Personnel Association Annuit Coeptis Award and the Manuscript of the Year Award by the Journal of College and University Student Housing. In 2003, the Governor of the State of Connecticut and the Connecticut General Assembly recognized Rong for his professional and civic contribution to the state as a first generation immigrant. In the 2005-2006 academic year, he was selected and served as one of the Ford Foundation supported associates for the National Center for Public Policy and Higher Education. Since 2007, he has served for the National Council for Accreditation of Teacher Education (NCATE) as a member of the Board of Examiners, and has chaired accreditation visiting teams to numerous institutions. 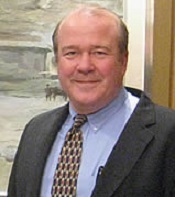 In 2011, he was appointed to be a member of the Board of Examiners Advisory Panel by the NCATE. From 2010 to 2013, he served on the Global Diversity Committee (and chair of the committee from 2012-2013) for the American Association of Colleges for Teacher Education (AACTE). Carrie Stevens began working at UConn in 2009, in what was then known as the Office of International Affairs. In 2012, the office has transformed into what is now Global Affairs, led by the Vice President for Global Affairs Daniel Weiner. Stevens provides direct support to Vice President Weiner and Assistant Vice President Rong—overseeing their calendars and coordinating their travel. She is the face of the office, welcoming guests and handling general queries. 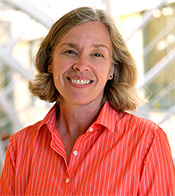 Susan Rosman transitioned to the role of Director of Financial Management for Global Affairs as of February 2015. She came to Global Affairs after 16 years of service as Fiscal Manager for UConn’s Neag Center for Creativity, Gifted Education, and Talent Development at the Neag School of Education. Before coming to UConn, Susan held positions at United Technologies, First Citizens Bank, Price Waterhouse, and Touche Ross. She holds an MBA from the University of Hartford and a BBA in Public Accounting from Hofstra University. Susan is a Certified Public Accountant and Certified Internal Auditor, and brings over 30 years of experience in fiscal analysis and financial management. 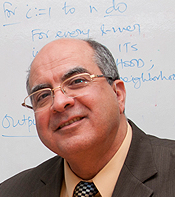 Reda Ammar is Professor of Computer Science and Engineering at the University of Connecticut. He received his B.Sc in Electrical Engineering from Cairo University in 1973, B.Sc. in Mathematics from Ain Shams University in 1975, M.Sc. (1981) and PhD (1983) in Computer Science from University of Connecticut. Ammar joined UConn as a faculty member in 1985. During his tenure at UConn, he has served as the Department Head for 16 years (1998-2014), and currently the director of global engineering programs and the liaison for the Middle East and North Africa partnerships. Ammar’s research interests include big data analytics, underwater computing networks, performance engineering, cloud and distributed computing and real-time systems. His publication record exceeds 300 journal and conference papers. He advised to completion 26 PhD dissertations and received research funding from NSF, NIH, DARPA, USAID, Department of Higher Education and Industry. He is also an expert of ABET accreditation and has served as a consultant to many of Saudi Universities. Roy Kamphausen is Senior Vice President for Research and Director of the Washington, D.C., office at The National Bureau of Asian Research (NBR), and concurrently serves as Senior Advisor for East Asia to the Vice President for Global Affairs Daniel Weiner. At NBR, he provides executive leadership to the Bureau’s policy research agenda on security, politics, energy, economics, and trade. Kamphausen directs NBR’s engagement with the administration, U.S. Congress, and foreign embassies in Washington, D.C. and integrates the work of Admiral Jon Greenert, NBR’s Shali Chair in National Security Studies, with ongoing programs and new initiatives. As a specialist on a range of U.S.-Asia issues, Kamphausen leads and contributes substantively to NBR’s research initiatives. He is the author, contributing author, or co-editor of numerous publications, including chapters in NBR’s Strategic Asia series; the Carlisle People’s Liberation Army Conference series and its most recent volume, The Chinese People’s Liberation Army in 2025 (co-edited with David Lai, 2015); an NBR Special Report on innovation in India (2015); and the IP Commission’s Report on the Theft of American Intellectual Property (2013). His areas of expertise include China’s People’s Liberation Army, U.S.-China defense relations, East Asian security issues, innovation, and intellectual property protection. He has presented on these topics throughout the United States, Asia, and Europe to government and corporate decision-makers. Kamphausen is frequently cited in U.S. and international media, including CNN, the Financial Times, Foreign Policy, National Public Radio, Newsweek, and the New York Times. Kamphausen is an adjunct associate professor at Columbia University’s School of International and Public Affairs and lectures regularly at leading U.S. military institutions, including the United States Military Academy (West Point) and the U.S. Army War College. Kamphausen regularly briefs members of Congress and consults for the U.S. Department of Defense. Prior to joining NBR, Kamphausen served as a career U.S. Army officer. As a China foreign area officer, his career included assignments as China policy director in the Office of the Secretary of Defense, China strategist for the chairman of the Joint Chiefs of Staff, and a military attaché at the U.S. Embassy in Beijing. Kamphausen holds a BA in Political Science from Wheaton College and an MA in International Affairs from Columbia University. He studied Chinese at both the Defense Language Institute and Beijing’s Capital Normal University. He is a member of the National Committee on U.S.-China Relations, the Asia Society, and the Council for Security and Cooperation in the Asia-Pacific.